In the market for a new controller after smashing your current one after dying in that boss battle for the umpteenth time? Consider yourself more than just a casual gamer? Well then these two controllers will make all the difference in getting that final kill, goal or combo. 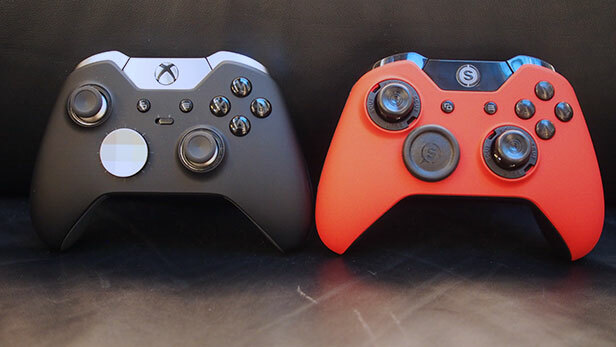 Today we will look at 2 of the leading “elite” controllers on the market, be aware that these controllers don’t come cheap so be prepared for hefty price tags. 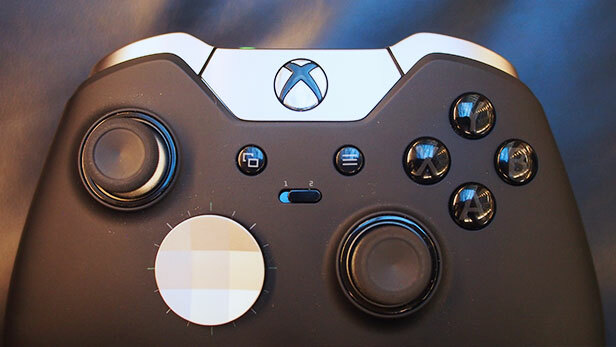 This will be the first thing people will notice when seeing your newly bought controller and if you are willing to spend the money this is where the Scuf really does shine. The elite comes with metal on the sticks, triggers, bumpers and D-pad the rest is finished in a matte black which gives it a refined appearance. The Scuf has the same matte finish in a variety of colours, the sticks, triggers bumpers and D-pad is finished with a gloss plastic. When you visit the Scuf Customization link <here> you will be able to design your controller as understated or garish as you want. 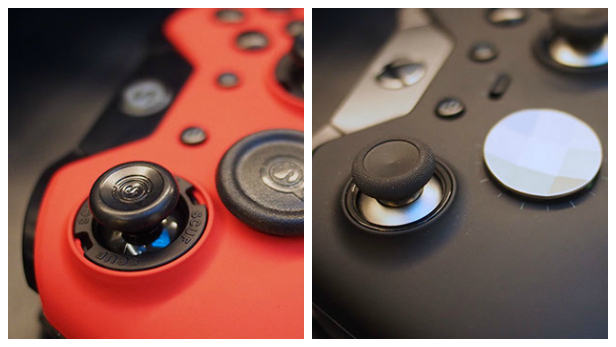 In competitive situations like all gamers find ourselves in on a regular basis a quick trigger finger means the difference between life and death, these controllers have you covered. 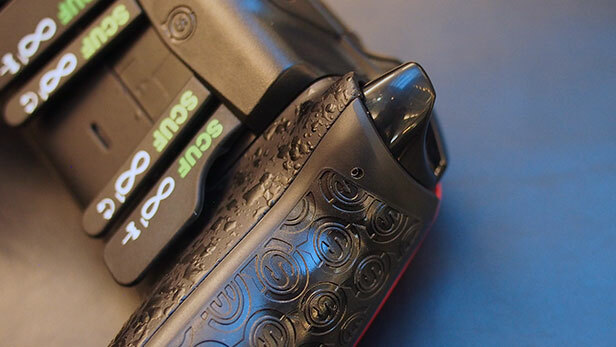 The elite features a hair lock trigger that allows you to restrict the travel on each trigger independently by a flick of a switch on the back of the controller, quick and easy. The Infinity requires a little more effort, it requires you to loosen and tighten a screw using a special tool supplied. 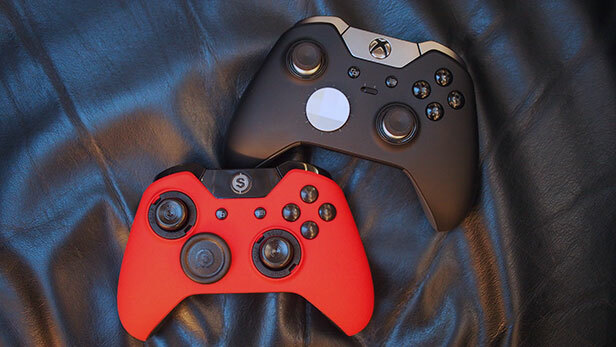 Both these controllers come with up to 4 paddles, the Scuf choosing to go with vertically mounted paddles, they are stiff and responsive but can feel a little out of reach. 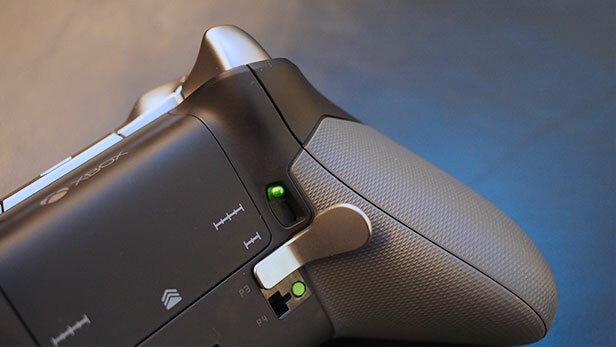 The Infinity 1 comes mapped standard for the face buttons, changing this will need you to have added the electro-magnetic remapping feature during the build and then use the Mag key to change inputs. Changing this can become a little intricate. 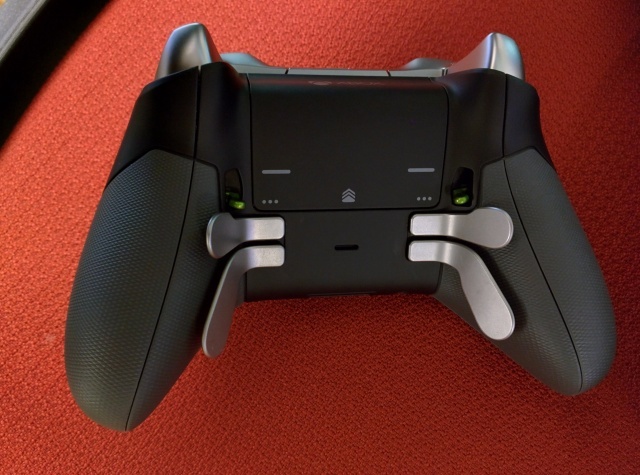 The Elite controller paddles are all removable as they are all attached using magnets. They are much better positioned meaning no adjustment of your grip to reach them. Remapping of these paddles is made easy with the Accessories app on both your PC and console and they can be done on a per-game basis. The Scuf option has many options with you only picking one during the build (or pre-built) option, be it domed, long, medium or short or concave with the same length options. Each stick can also be individually picked. 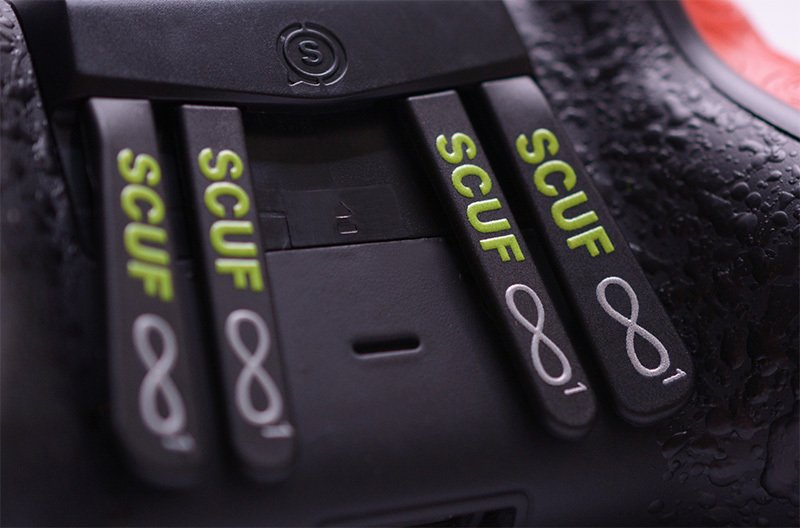 Swopping them with extra sticks bought from Scuf can also be tedious as you need to use a tool. This is where the Elite is leaps and bound ahead, featuring 3 variants of sticks all packaged in the clamshell case. These sticks are all metal shafts and plastic pads, again the sticks are held in by strong magnets making changing them really easy. The Scuf only allows you to map the paddles of your controller and only a single profile meaning if you jump from one game to another and need to remap it can take some time. The Elite on the other hand is a customizers dream. It allows you to customize and remap every button using game specific presets, adjust various sensitivities of triggers and sticks. To make it even more impressive you can do a second profile and switch between them by a flick of a slider meaning you can jump from one game to another without skipping a beat. Please take not the Infinity 1 price is without customizations these prices will depend on features selected.